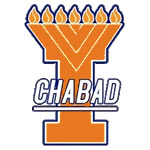 Welcome to jLearn – the latest Jewish education and social network at U of I. Providing a wide variety of discussions, courses, lectures and special events, jLearn is bound to present new ideas, expound on old ones, educate, entertain and inspire! There will be special socials and events held for members only, starting with a grand kick-off event, ending with an awards night and a special gift for each member, together with socials and retreats in between. Q - How do I become a member? A - Sign up for two classes/lectures/discussions/special events, etc. It's that easy! 1. Check out the wide and varied course schedule ! Questions on Judaism... discussions on Israel... whatever's on your mind! 3. You will receive a membership confirmation, class reminders and member-only invitations to our special socials and events!